Battery problems are one of the top reasons why people find themselves caught out at the roadside. Indeed, if there is a time when your battery fails you and you find that your car is unable to start then it's most likely to happen during winter. The reason for this is that, when it gets colder, it puts more strain on your vehicle to get the ignition going. This is when your battery's charge comes into play and, if it is low or hasn't been charged for a while, then this is when you may encounter problems. However, there are ways to reduce the chances of a flat battery even when it's cold outside. If it does happen, then you need to know how to fix the problem. Consider how long you have been using the same battery. If it is a few years old or more then it might be time to change it as charge leaks over time. Rather than making a number of short trips, try to link them into a longer journey. Too many short drives can drain your battery's charge. Try these steps if you think it should be working. Before starting your car up, turn off your air conditioning, lights and radio to reduce the amount of strain you put on the battery when turning on the ignition. 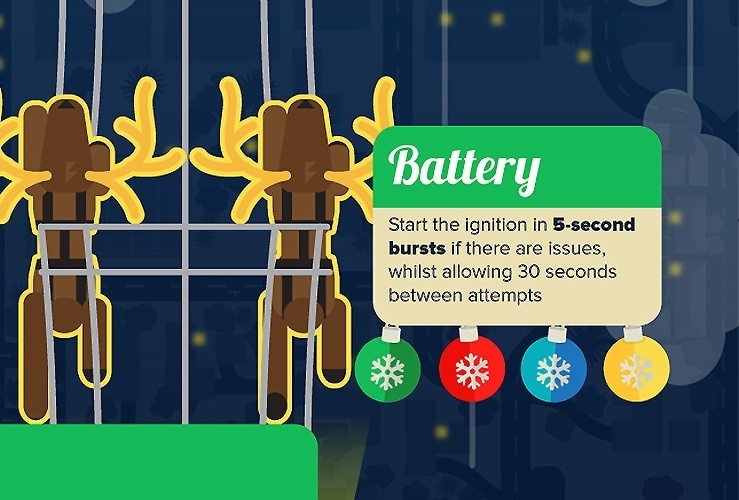 If you are having trouble getting your car to start then try the ignition in five second bursts. Between each attempt, leave about 30 seconds. You may be able to get your car going in this way. However, sometimes that fails and so this is why it is worth keeping jump leads with you. Hook these up to another car to charge your battery and get your vehicle running again. If it comes to this, then you should look to get your battery changed as soon as possible. Some people do not carry jump leads. In which case, call startrescue.co.uk for help to get your car going or to have your car taken to a garage if the problem can't be fixed at the roadside.